Friends and community have always been important to Ernie Clasen. Ernie Clasen gets to hang out with some of his closest friends at lunchtime on most Mondays. Nearly every Monday, he drives, (or gets a ride) to Goodman Lechayim Lunchtime Plus, Jewish Social Services’ senior nutrition program, for its amazing food, great programs, and most importantly, for the friends he has found. 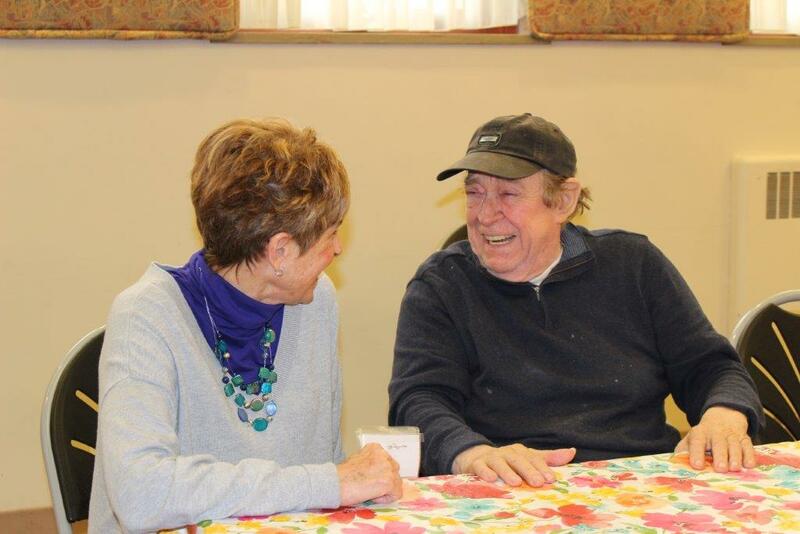 As a way to support Jewish Social Services and in particular, in support for senior programs and case management, Ernie has recently let JSS know that he will be leaving an estate gift of $250,000 to Jewish Social Services endowment fund. Ernie moved to Madison from Germany in 1957 after seeing an ad in a German newspaper for a “pastry man” at Dykman’s Restaurant. He spoke no English, but took a chance. Ernie came by ship to New York City followed by trains to Chicago and finally Madison. He said that when he finally arrived at his hotel on the Square, he only had $3.50. Luckily, Dykman’s Restaurant was only 1 ½ blocks off the square, so he could walk to work. Ernie’s boss helped to bring over his fiancée, Ruth Fischer and his younger brother. Ernie and Ruthie were married nearly 53 years. The three bought a small bakery on Parmenter Street in Middleton. This business later evolved into a larger bakery and a chocolate company. Ernie explains why a German Catholic who emigrated to Madison in 1957 would want to leave a legacy for senior programs and services at Jewish Social Services: “the people that I met. First, when I went I thought that I’m Catholic and German. I was worried, but everyone was so nice. And I don’t want the money to run out for the program.” Ernie is leaving the funds in memory of his good friend and neighbor Dolores Salganick. For more information, please contact Dawn Berney, Jewish Social Services at (608) 442-4081 or dawn@jssmadison.org.